What makes you smile, laugh or feel like skipping down the street? Teams of professional psychologists, neuroscientists, marketers, economists and your boss all want to know. Why? So they can make sure you are a productive employee who buys lots of stuff! 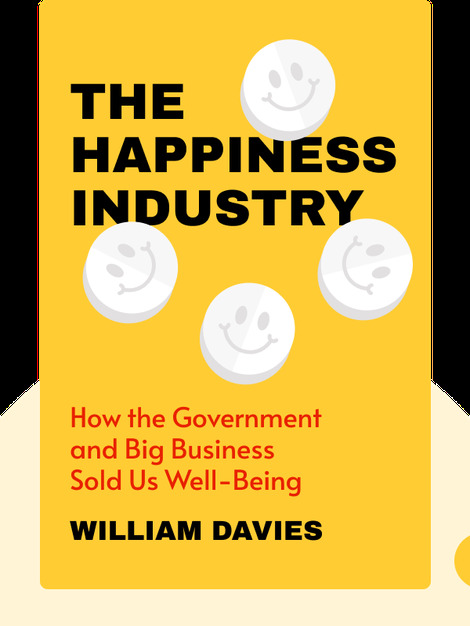 The Happiness Industry (2015) takes an in-depth look at how our happiness is studied, measured, and profited from – often without our knowledge or consent. 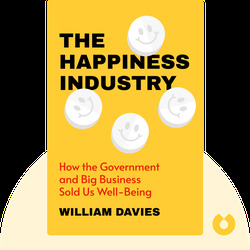 William Davies is a senior lecturer and director at the Political Economy Research Centre at Goldsmiths, University of London. He is also the author of The Limits of Neoliberalism. His writing has appeared in New Left Review, Prospect, the Financial Times and Open Democracy. His website www.potlatch.org.uk was featured in the New York Times.